US President Donald Trump’s Mideast peace plan will be unveiled by mid-June, White House sources told Channel 13 news on Monday, though an exact date has yet to be set. The date will depend on a number of factors, including the outcome of Israel’s general elections, and the next prime minister’s progress in forming a governing coalition, the report said. It said the White House was also taking into account national holidays, and Jewish and Muslim religious festivals, in choosing a date. Earlier on Monday, Blue and White party chief Benny Gantz said that if he wins Tuesday’s election, he expects the Trump administration to delay the release of its peace plan until after he forms a government. He promised to seriously consider whatever the US proposed for the region, and said he hoped the White House had not already given Prime Minister Benjamin Netanyahu details of the plan that has been in the works for two years. Washington had promised to unveil its long-promised proposal sometime after Tuesday’s election, in which Netanyahu is seeking a fifth term. In the run-up to Tuesday’s vote, the prime minister has hosted US Secretary of State Mike Pompeo, visited Trump in the White House, and received both American recognition of Israeli sovereignty over the Golan Heights and, on Monday, a US designation of Iran’s Revolutionary Guard Corps as a terror organization. Last week, Netanyahu said he had informed Trump that not “even one person” would be evicted from a settlement under any US peace plan. 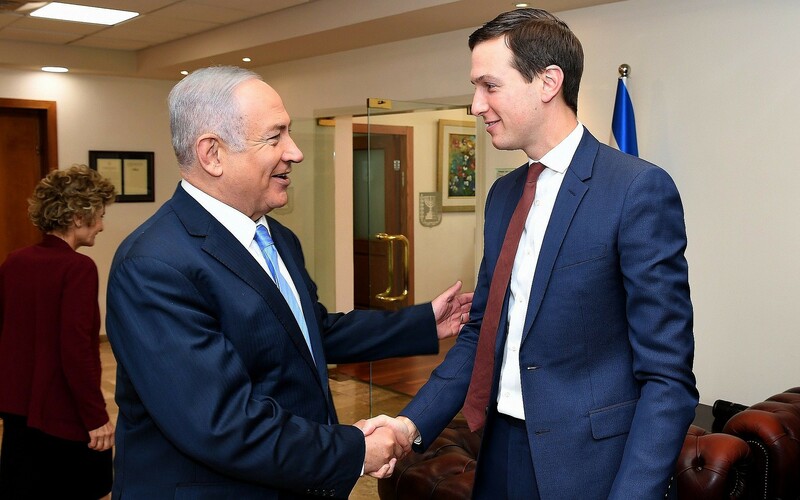 At the weekend, he said he would gradually apply Israeli sovereignty at all West Bank settlements, and hoped to be able to do so with US support.